Chris Donnelly plays his Metamorphosis at Chalmers House on Monday afternoon. Pianist Chris Donnelly at the Canadian Music Centre, 5:30 p.m.
January’s installment of the On the 13th concert series (which includes a post-concert wine-tasting sponsored by Niagara’s 13th Street Winery as part of the experience) at the intimate Chalmers House concert space features this unusually versatile Toronto pianist performing his own, jazz-focused cycle, Metamorphosis. Details here. Violinist Hilary Hahn with the Toronto Symphony Orchestra at Roy Thomson Hall, 8 p.m. 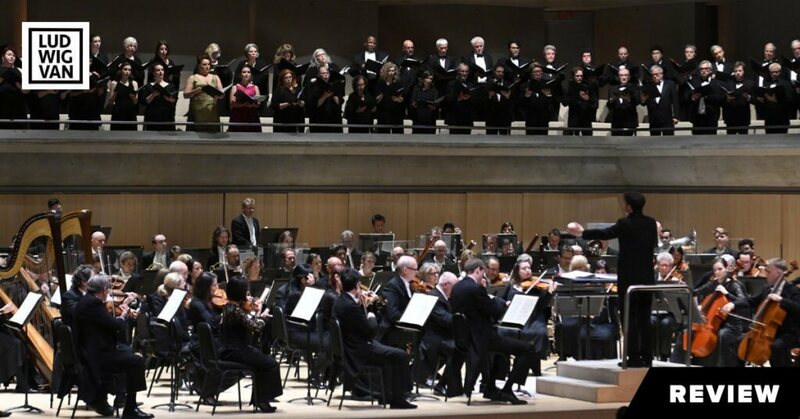 There is so much to recommend this violin-and-choral programme, from a great young American violinist to the impressive array of soloists and choristers lined up to sing some of Mozart’s finest music with Toronto Symphony music director Peter Oundjian. You’ll find all the details here. 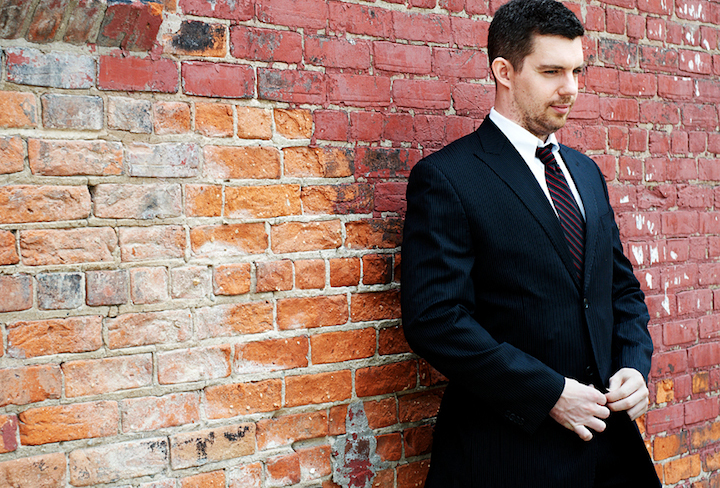 Pianist Christopher Goodpasture at the Richard Bradshaw Amphitheatre, noon. Free. 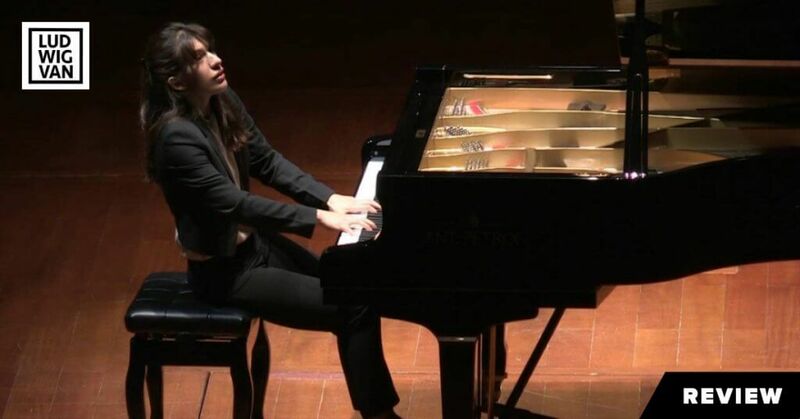 This Los Angeles-born student of John Perry’s at the Royal Conservatory’s Glenn Gould Professional School performs an enticing solo programme of pieces by Chopin, Schumann, Debussy and, for a dash of Canadian content, the late Jacque Hétu. Details here. 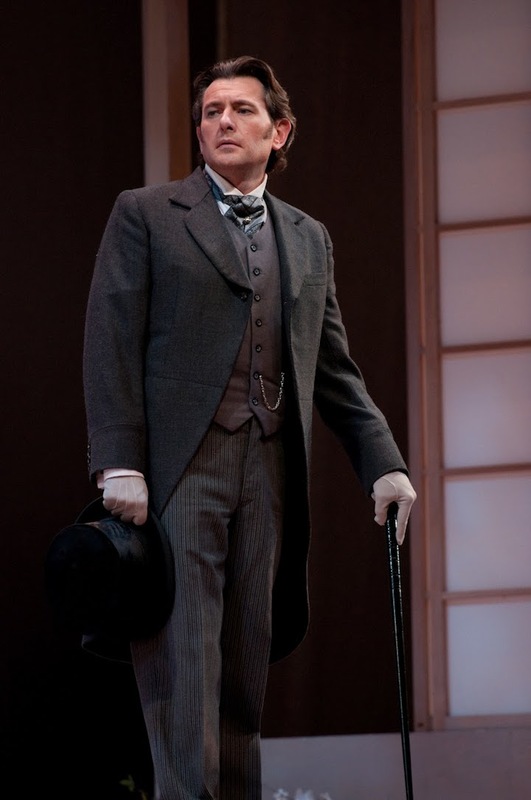 Brett Polegato — not dressed for shopping at the Maple Leaf Gardens Loblaws but to sing Sharpless in a 2012 Seattle Opera production of Madama Butterfly (Elise Blakketun photo). Baritone Brett Polegato, the Eybler Quartet and friends at Heliconian Hall, 8 p.m.
One of this country’s great operatic baritones is also a sensitive art song interpreter. We get a rare chance to hear him in an intimate setting, as he premieres a new string-accompanied arrangement of Robert Schumann’s cycle Dichterliebe (A Poet’s Loves) by the Eybler Quartet’s violist, Patrick Jordan. You’ll find some more details here. Theatre of Early Music and University of Toronto Schola Cantorum present Dido and Aeneas at Trinity College Chapel, 7:30 p.m. on Fri. & Sun., 4 p.m. on Sat. In his most ambitious musical project since taking on oversight of Historical Performance at University of Toronto’s Faculty of Music, countertenor Daniel Taylor has put together a three-performance presentation of Henry Purcell’s ageless, hour-long tale of love and loss. Tafelmusik’s Jeanne Lamon heads up the instrumental support, while Bill Coleman supplies dancers and choreography. Details here. Opening performance of Mozart’s Così fan tutte at the Four Seasons Centre, 7:30 p.m.
Atom Egoyan directs and Johannes Debus conducts a new, Debra Hanson-designed Canadian Opera Company production of this brilliant ensemble comedy. This is the first of 10 performances, which end Feb. 21. You’ll find all the details here. Barry Shiffman and friends at Mazzoleni Hall, 2 p.m.
CBC Radio 2 host Julie Nesrallah steps away from the microphone to sing with ever-busy violist Barry Shiffman, violinist Benjamin Bowman, cellist Desmond Hoebig and pianist Peter Longworth in a programme of music by Robert Schumann and Johannes Brahms. Details here.